Some people have bad hair. I am a Leo. Know what that means? Well, it means many things. It means I like to talk, entertain, meet people, have friends... a Leo can occasionally be a little self centered. To some extent, I am all of that. But it also means that I care deeply, passionately about my hair. Think the lions mane. I used to have really super good hair. Lots and lots of it... at it's best in my late 20's to mid 30's. In my opinion, it was pretty fabulous. Until it wasn't. 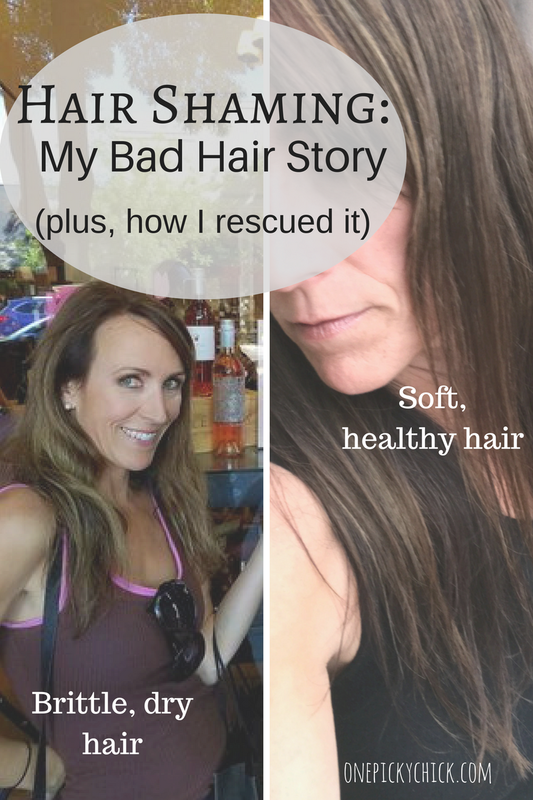 "I have fairly long brown hair that needs a trim and highlights/color. I looked at your pricing. I'm hoping to keep it under $200 as I really hate spending so much on my stinking hair. Do u think that's possible?" "It never hurts to ask but at this time I'm not making concessions for my prices. If it helps we could do a haircut and base color one visit and weeks apart do highlights and toner. Let me know if this could work for you and I'd be happy to get you scheduled." Whaaaaaaaa? I was so confused. I literally replied, "no silly! I don't want concessions I just want to understand my cost according to your price structure." She suggested a consult. I saw her a week later and it was the worst meeting I've ever had with someone who was to perform a "service" for me. The woman, by the way, owns her own "salon" which happens to be just a 1 person space where there are lots of other tiny, individually owned salons. From the start, she was incredibly condescending and rude. Because of that, (kill them with kindness) I was extra friendly, as usual, and told her I was really looking for some hair help. After some small talk she basically said my hair was in such terrible condition that she would never let me represent her brand. She asked me what products I used, which I said I have no idea, "Paul-Su-Perk"!? Meaning, I wasn't brand loyal since I'd never come across anything worth something. She told me I really needed to invest in better and more expensive products. She just couldn't believe I was so cute, with such an adorable figure and, essentially, horrible hair! In order for her to rehab me it would cost $265... IF I would color my hair first on my own. Did you catch that? IF I COLORED MY OWN HAIR FIRST. I was flabbergasted. I felt 2 inches tall. I left, called my friend and told her how I had never been treated so poorly. So while I wouldn't be going to her, I would just ignore her and not say a thing. I just want to let you know I won't be making an appointment with you. Heres why: I've been in the news business for almost 20 years of my life. During that time, I've had many people criticize me. It comes with the job. Because of that, I've developed thick skin. Even when a viewer told me she wouldn't be sorry when I was raped because my skirts were too short. I learned in -almost- every case, there was some validity to the criticism they gave me. I shouldn't wear red lipstick, I had to speak slower, one consultant even came to my closet and told me to buy more color. They were all correct. So I'm used to harsh messages. Your message went beyond harsh - you were just mean. I am aware my hair needs some extra care. But your delivery needs some extra work. You were condescending when I was playful. You could have taken this as an opportunity to help someone in a bit a a hair slump not made me feel like committing hair suicide. In short, maybe you are having a bad day but everyday you should not only work on your hair skills you should work on your people skills. Being kind and uplifting matters way more than split ends. Please don't take this the wrong way... I truly mean for it to be constructive! She wrote me back. See below. I agree... I always appreciate "honesty" - but there's also something to be said for common courtesy and respect. She didn't get it. She probably never will. At least I got it off my chest. Plus, turns out I got a whole lot more. I now go to a stylist whom I'm VERY happy with... and in just over 6 months I've had a hair transformation! Due to not only her but also these new products I'm using. In fact, I like them so much... I'm selling them. The line is called MONAT (Moe-NATE). It stands for Modern Nature. In a nutshell, they aim to fight AGING HAIR. What a concept? We have all these products to fight aging skin... but what about aging hair? In my next post, I'll write in more detail about the "science" behind the brand. But in a nutshell they're naturally based products, there's no sulphates, no parabens, no harsh salts, no gluten, no harmful colors or fragrances, no ethanol. They're more expensive than the drugstore but in the ball park of salon product prices. For me, the bottom line is, they really work. 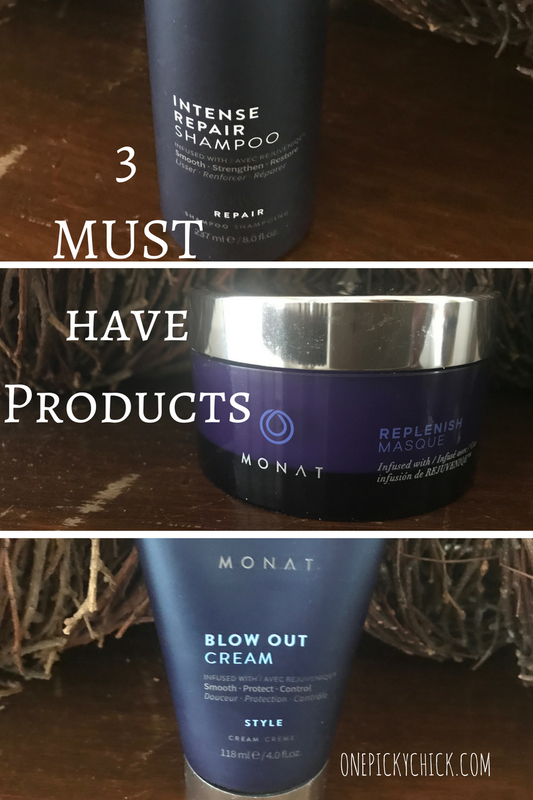 Here are my fav/must have products. Ask me about their discount program... they have one (VIP) that gives you %15 off your products plus free shipping. Not to mention they have "bonus buys" all the time! They are several shampoos but my personal favorite is the one that helps support re-growth and hair strength (the most - they all kinda do). That's the Intense Repair Shampoo. The masque, one of their Best Selling products is out of this world. After one try, you'll see a difference, I almost guarantee it. Then the Blow Out Cream helps you get close to the blow out you pay for in high end salons. Really, use those 3 and you'll be happy. Everyone needs a conditioner. 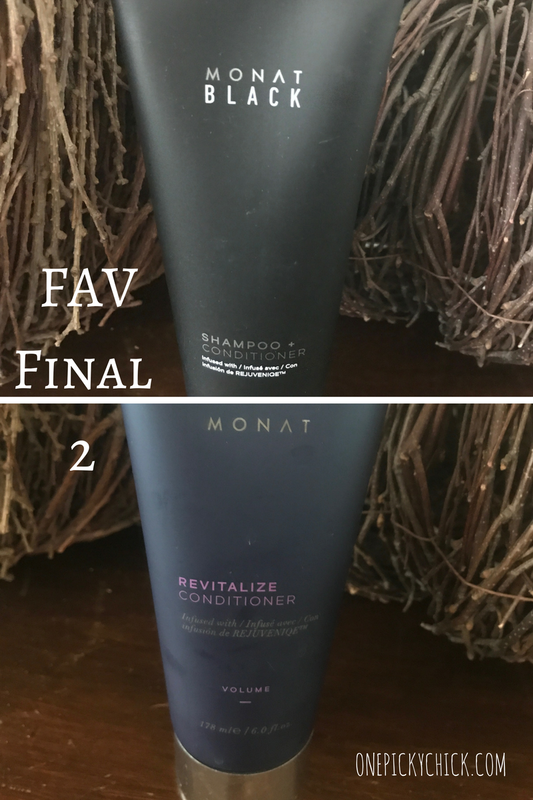 My favorite is the "Revitalize" Conditioner which pairs with the IR Shampoo above. And my husband happens to love the Black Shampoo, which is the Men's line. Yep, even his hair looks better. His claim, not mine. The Black line, is also aimed at promoting hair growth. Plus, it has a little something extra to help blondes become a brighter, prettier "blonde"... so I know lots of women are using it too! I'm a brunette therefore I don't have actual first hand proof of that one. I feel like this whole experience was somewhat poetic! In (less than) one year I went from one of the worst (hair) experiences in my life... to one of the best. Perhaps I wouldn't have been looking that hard for a hair "solution" without that stylist from hell. Then, I never would have come across Monat. A product line this LEO truly believes can put hair shaming to bed for good! Read HOW & WHY Monat works HERE! Picture this: it's pitch black, middle of the night, out of no where, you wake up. Walking towards you is your child. Something is wrong. 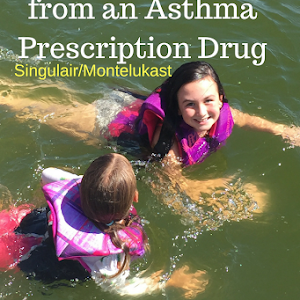 It's a weird phenomenon at my house which happens almost every time my child is in "distress" at night. I may be in a dead sleep but, out of no where, I wake up. Last night, it happened again. My son had a bad dream. As he was walking down the hall, I woke up to see him entering my room. Ever happen you you? I think it's this ability for a Mom to know something's wrong before it happens. It may be a connection between Mother and child... or just a sense a Mom has when their baby needs them. I think that's where I'm at right now. 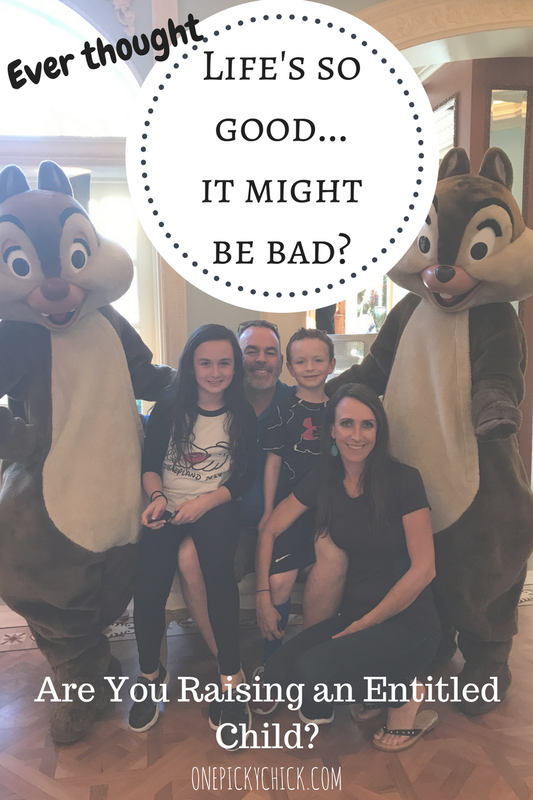 I need to wake up and handle stuff before something bad happens to my kids. What in the world am I talking about? Our blessed life. I feel very lucky. I have a husband who's my ROCK, a faith that is strong, a son who I worked hard to get, a daughter who is growing up and parents who supported me the entire way. In fact, life is so good - it might be bad. My kids have so much - they need way less. Our bubble is big - we should break out. My daughter needs to learn empathy and my son has to know going to the store doesn't automatically mean you shop (for toys). Therefore, I've been searching for ways to combat these challenges, while keeping their childhood intact. I don't want them to live on the street but I do want them to understand what it means to be there. So when I heard about a book study at my church, I jumped at the idea. It was just what we all needed. 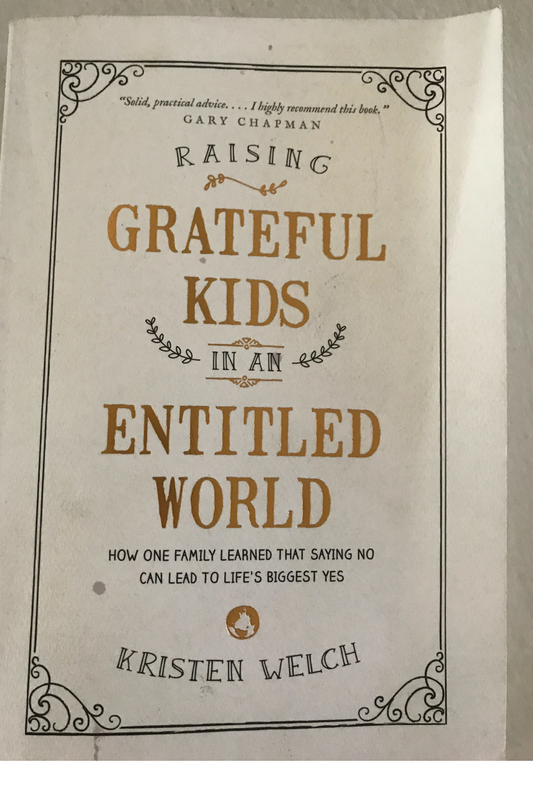 The book, called "Raising Grateful Kids in an Entitled World," by Kristen Welch, is so simple. I mean, really. It's not tough stuff here. The concepts not foreign. The ideas not huge. Kind of common sense. 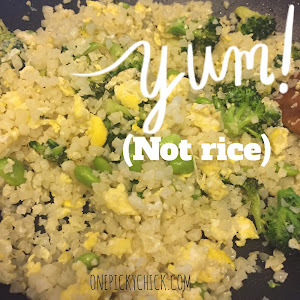 She's a Mom with a non-profit ministry and a blog. She's not a doctor or a psychologist. She's like you or I... with a good head on her shoulders. Therefore, the read is what many of us Moms have talked about at play dates, coffees, at soccer games and dance recitals. So I wanted to share the books concepts with you. Here are my 5 biggest take-aways. First, it's important to note that this book is Christian based. It talks a lot about faith in God and is a central theme. If you're not into that, like I am, parents will still get a lot out of it. Plus, if you're searching spiritually... you may also find this can point you in a direction you'd be interested in traveling. I hate selfies. I truly do. NO one looks good in them, they're incredibly vain, and honestly, they're just plain weird. The fact that the term/word is now apart of our dictionary, is highly alarming. Spending time, taking a picture of yourself to get the perfect pouty face is just beyond. It seems we're teaching kids to go backwards. Here's why. When we're born, we are selfish - it's innate (as well it should be, we are unable to do ANYTHING and survival is predominantly dependent upon others). But at a certain point in life, selfishness should wane, slowly but assuredly year by year it starts to trickle away. By the time you have your own children, well, it practically needs to be thrown out the window to your little parasites. Never entirely of course, but almost. And the cycle continues on. But, it seems to me, selfies perpetuate the madness. If we can't see that past those selfie sticks... well, then we can't see. We'll never have grateful and always keep entitled children. I truly believe, one day, we'll all laugh at the selfie. I think just like big bangs, blue eyshadow and Slim Fast were seriously going to say - "what were we thinking?" These are Welch's words actually. It's so true too. Yet, this is a hard one for many Moms. Especially when our kids are small. When I took my kids to pre-school I would drop them off. I didn't hang around. I never waved though the window (maybe just once)... mostly, I stayed away. Not that I didn't love and miss them after I dropped off. I just wanted to quickly teach them that they were (if only for 2/3 hours) on their own. At the same time, I would be back to get them NO MATTER WHAT. I want my kids to fall down occasionally. Not sustain bad burns... but get scraped and stand back up. Because they will surely rise to stand taller. 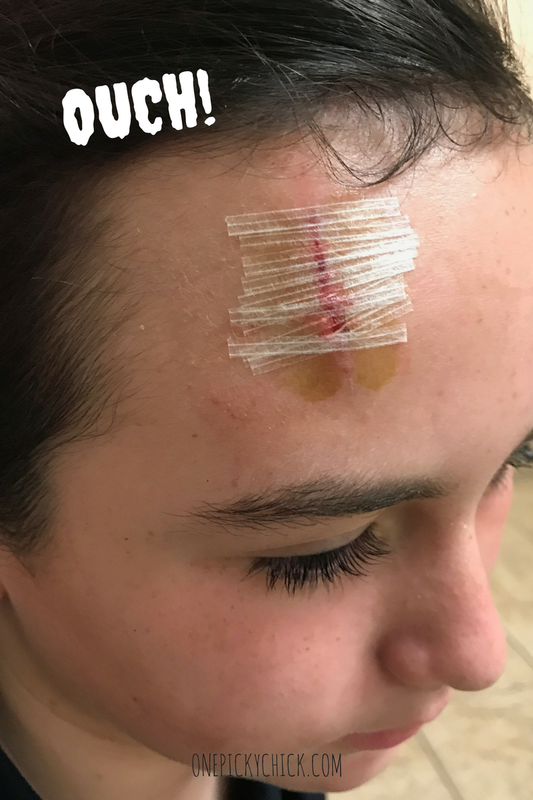 The other day, my 11 year old was at school, minding her own business, when a boy came out of no where running down the hallway only to hit and push her into a pole. She gushed blood. I came to the school nurse. Stood by her side, but she didn't want too many hugs. She didn't want tears. She wanted to see, through my reaction, how she would be. Honestly, I didn't know. There was a huge gash on her forehead which not only hurt but looked really scary. I maintained composure the entire time. Therefore, so did she. I knew the look on my face would reflect in her own. So, when I took her to Urgent Care, got her cleaned and "stitched" up - we hoped and prayed for the best. Guess what? She's fine. 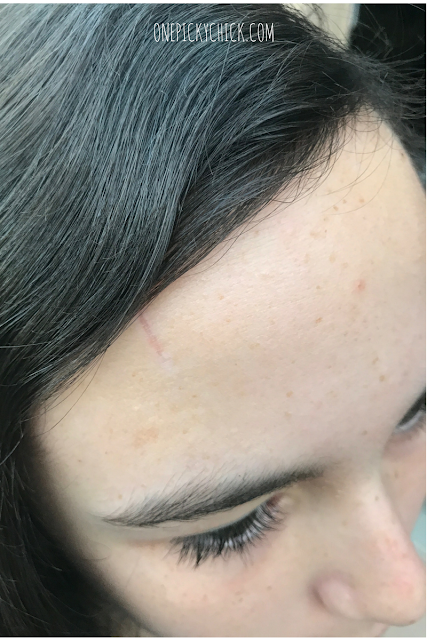 There's barely even a scar. She got through it. She stayed strong from beginning 'til end. Stronger than even I thought possible. I hope that continues as she grows. I will be there when she falls but she has showed me she can also stand on her own. I'm cheating on Welch and reading another book right now too. It's by money guru Dave Ramsey and his daughter Rachel Cruze, called "Smart Money, Smart Kids." We got the idea from my husband's brother and it too is a good read, nothing too fancy, just good ol' back to basics. I mean that. It's exactly how I was raised. You earn money. Then, you save lots, give some and spend the rest. More on that in a second. Credit card debt, unless totally unavoidable, is not an option. "The U.S. national debt grew by just a bit more than $600 billion in fiscal year 2017, almost half the average annual growth seen in the Obama years. The national debt ended at $20.244 trillion on the last business day of September, an increase of $671 billion from the start of the fiscal year in October 2016." Yea, it's less under Trump than Obama, but really? I'm always flabbergasted by the national debt... how can we expect our kids to do differently than the rest of the entire world? Okay, rant over but the bottom line, the age old adage is true: money doesn't buy happiness. In fact, often times, it actually has the opposite effect. The more you get, the more you want, the more troubles it can cause. I, right after Christmas, get super into "stuff." It's because I shopped so much before, return after the holiday, not to mention have gift cards and all those sales! So, for a couple weeks I'm on the Nordstrom website, going to the Rack, shopping Old Navy, I just can't get enough. I MUST GET THOSE BOOTS. Then all of the sudden I have those boots, they sit in my closet and nothing has changed. I'm over it. I'm not happier. Not one bit. I'm actually annoyed. Why am I NOT wearing those boots? So, we're doing what Ramsey suggests. Giving our kids money they earn for the weekly work that they do. Each time, they need to separate their earnings into 3 places. Spending. They can use for anything. Giving. They need to use for others. Saving. Whatever the present goal is... college, car, nest egg? All of the above. Now, when my 6 year old wants a pack of gum he can buy it. When my daughter wants her phone she can buy it. Or... at least earn money to potentially buy it, if we say so. It teaches kids the value of a dollar unlike anything else. Plus, they're rolling up their sleeves, working and being a part of the family. 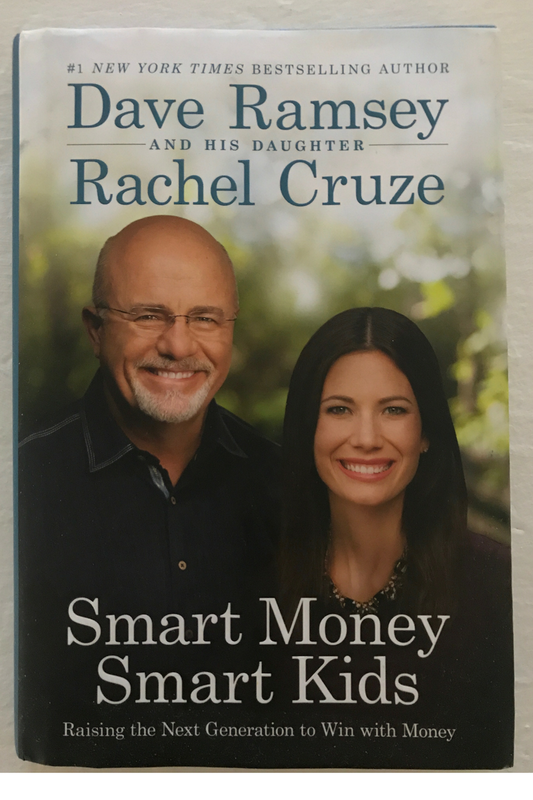 Welch's book lays out her money plan for family and it happens to be very similiar to Ramsey's. This is a subject that really gets me. The Chapter (5) in "Grateful Kids" is good. 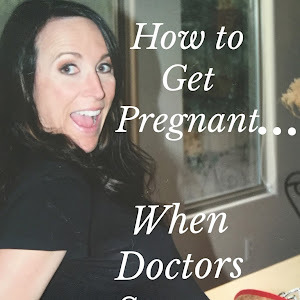 I paid close attention to this because we are just starting to enter into this world with my daughter. As you just heard, she doesn't have a phone. Yet. It's true. Almost everyone she knows, all of her friends, they all have phones. She's in 6th grade. I'm not mad at other Moms. I see the value in it. But I also she the danger. There are many reasons I hesitate to give my daughter a phone. a) There's a Whole Scary World Out There. She has an iPad and computer... (I know, you may be thinking whaaaaaa)? but they're not at her fingertips the way a phone is... the information, while still available, is harder to get. Once it's in the palm of her hands, that tiny thing can really pack a powerful punch. Knowledge is power but sometimes too much power can lead to a severe explosion. I need to keep the power dim a little longer. At least in our house. b) Social Media. It's all about the likes. Rejection is everywhere. Kids are too young to understand that world is so not real. The person who has 222 likes on 1 picture may not have any real friends to talk with over ice cream. I don't post much on Social Media. I want to... I always think about it... but then I get busy. I tend to live my life instead of post about it! Our kids will absolutely get caught up in what doesn't matter if they start on social media too young. I believe it can be irreversibly devastating for someone who is not mature enough to handle it. c) Face to Face Communication. If we're stuck in our phones all the time, how are we expecting our children to learn this real skill? This is a genuine fear of mine. Our kids need to speak to each other with their voices, especially in these formative years. My daughter already has trouble communicating with people. I just want her to say hi to someone in the eye as she walks by them. Give her a phone and she'll never look up. d) Predators. We all know this is a real thing. But not all of us take it as seriously as we should. Predators are looking for our children on-line. Period. If kids unknowingly let people in on locations, activities, chats, games... who knows, they could be in danger. That's a mistake that could change their lives in one click. e) First and Last(ing) Impressions. Final thought. When I started TV News back in the day, one reason young journalists went to small markets to get their feet wet was so that they could crash and burn in "private". When you're young, dumb and in front of a camera you are bound to make mistakes. I did it in Kennewick, WA. Now, any kid with a smart phone will do it. But now, instead of just in front of the great people of Kennewick... your son or daughter may crash & burn in front of the entire internet. And those pictures/posts/tweets could be out there forever. A girl may make a poor decision when she's in 9th grade... but may not see the repercussions until she's out of college and looking for a job. I say all if this, but just wait, she'll probably get one sooner than later. God help us all. Kids long for structure. They want to know what to do. Rules/No's help them stay out of a situation they shouldn't be in. It gives them clear guidelines. If we don't set the standards for our kids then who will? Welch says, "there is a fine line between healthy parental love and child worship," I couldn't agree more. Kids want to be loved. Parents want to love their children. But parents need to be in charge, they can not let their children run the show. They will test and try but you must stand tall. Then one day, they will use those rules to get them out of a sticky situation. They will be thankful. So, will you. We say NO a lot in our house. It might be redundant. But I don't care. No, you can't watch that show. No, you can't have that phone. No treat tonight. No, I'm not getting you that designer jean (unless they're on sale at Nordstrom Rack and it's your Birthday). We do say yes... but my goal is to say NO more than YES. Partly because, as Welch touches on, denying oneself now, makes life sweeter in the end. 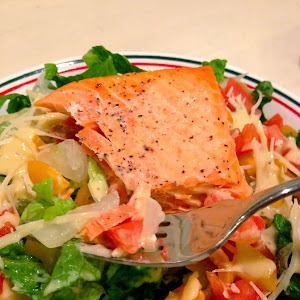 When I was younger and working I tried to not eat many exciting, fun foods during the week. The main reason for that was because on the weekend, my boyfriend, soon to be husband, and I would go out to eat at yummy restaurants and I wanted to get really excited about that dinner. It worked. I would salivate looking at the menu back then. It made me even more grateful to be there. I want my children to salivate over the "stuff" they get. NOT expect it. It's like the birthday party. My Mom got ONE birthday party her entire childhood. That one is forever etched in her brain. She remembers it fondly. It made her excited beyond belief. Most kids these days get parties every single year. The question is, will they remember ANY of them? Now what? Good question. I have woken up, been alerted to potential "danger," read some books and now it's time to walk the talk. 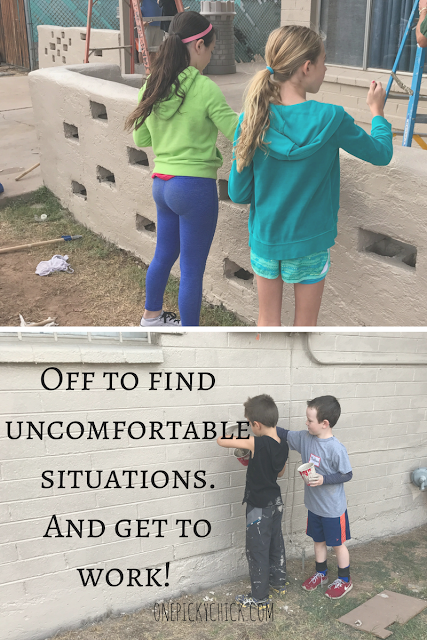 We're off to find some uncomfortable situations. We're painting places, adopting families, changing cars, giving more than (always) receiving, heck we may even move into one of our own rental houses. But we'll see about that last one. I need my kids to understand that while they may be the center of my world. They're aren't the center of the universe. It's a big place out there. A wonderfully, messed up, bloody, beautiful world. They can either sit back and watch it go by while on their iPads or they can get involved. It's not gonna be easy, it won't happen overnight but I'm trying to find avenues, some bumpy roads, that will point them to the place of happiness. Where they can build relationships that matter more than a re-tweet. All the while, having an impact on not only oneself but other people who matter just as much along the way. And maybe that will help us ALL sleep better at night.